The season 2013 ended on Friday 25th of October, when DD was laid up on the hard. This was one of the latest lift outs and this year we actually did make a couple of sails still in October. Usually our last sails have been in the end of September. This season got a bit late start, as she was launched only on the 23th of May. So despite the late start, the season lasted for almost five months, which is one of the longest seasons so far. The goal is to extend this to six months next year, as we are planning to launch earlier next year. 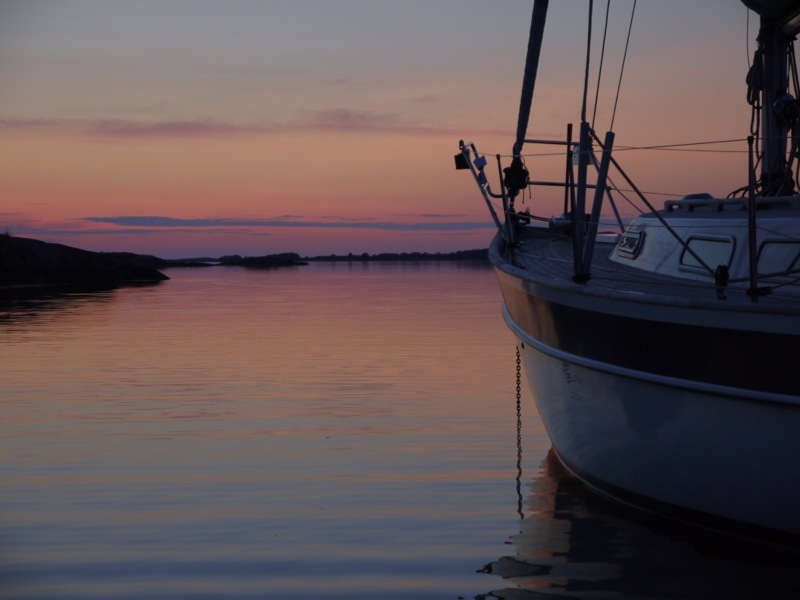 In the early June we made a couple of shorter night trips and also one longer trip to Jurmo in the southern Archipelago Sea, which was one of the goals for the summer. 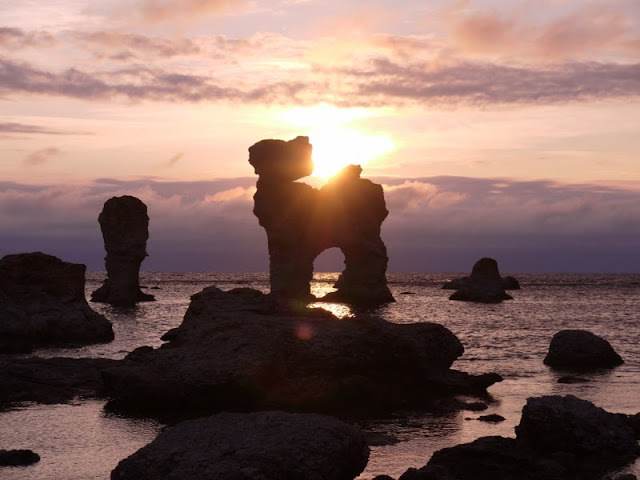 The main destinations for this year were Gotland and Fårö. We started our four week's summer trip in the end of June. 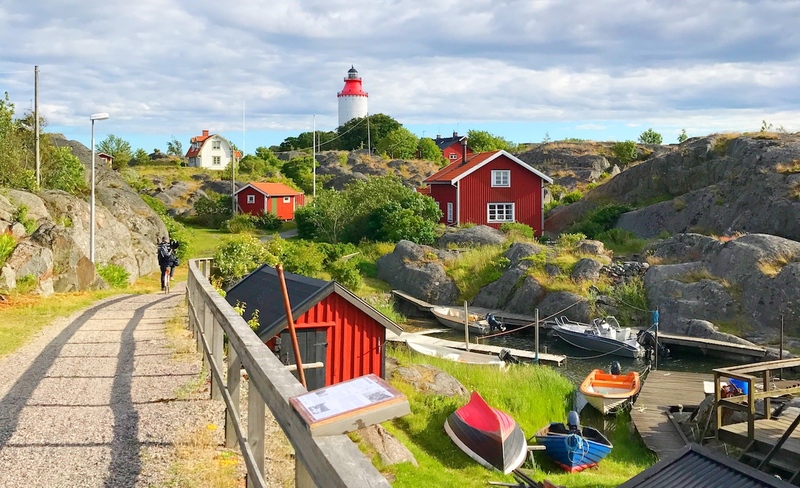 During the journey, we have been talking a lot about how different and interesting landscapes and places one can find from the Baltic Sea within just a few hundred miles. 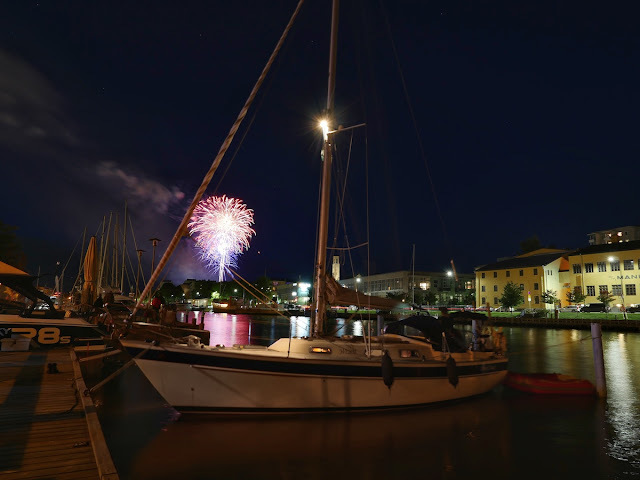 First of all, Visby is a one of the top sailing destinations in Northern Europe, a UNESCO Wolrd Heritage Site and probably the best-preserved medieval town in the Nordic countries. It is amazing how uniform the old town, located inside the City Wall "Ringmuren" is. At many places, it feels like being thrown straight into the middle age. 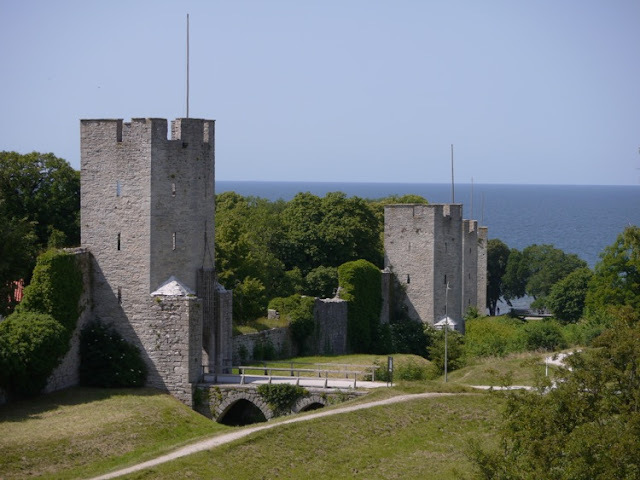 From Visby we continued to the Fårö island, located just a mile north from Gotland. I had visited this island in 2010, and instantly fell in love with its beautiful beaches, tranquil athmosphere and many amazing limestone formations, which are called rauks. This year, we visited the island first by car, and later in July, stayed also two nights on the island in Lauterhorn harbour. 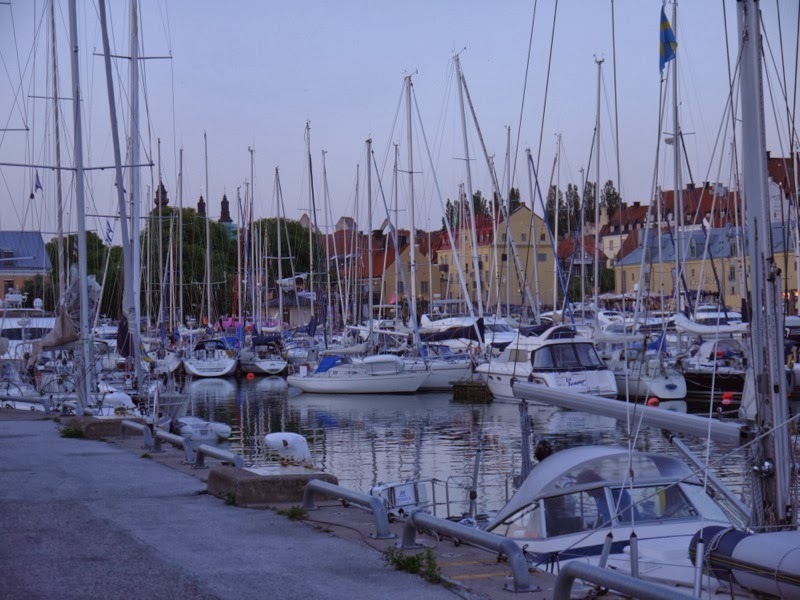 During our stay in Lauterhorn, we rented bicycles and drove to see the Gamle Hamn rauks in the evening. 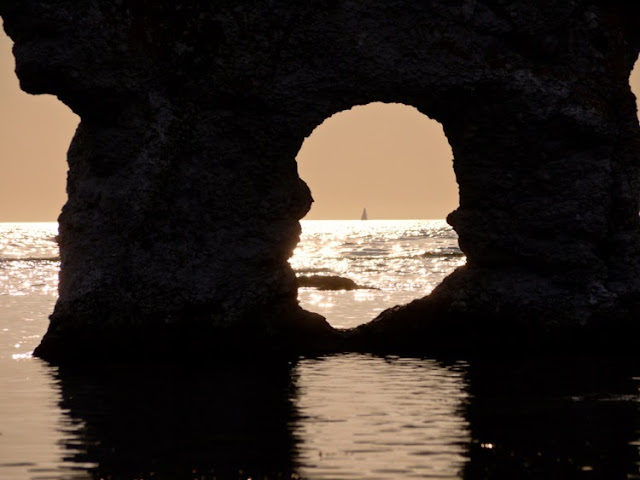 The weather turned cloudy in the evening, so we missed the famous sunset of Gamle Hamn (the sun setting through arch of the Coffeepot rauk) that we were looking for. However, an approaching weather front gave a dramatic scenery for the place. 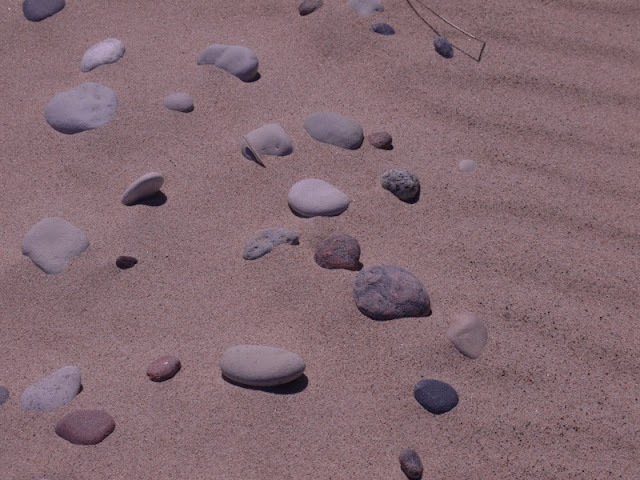 From Fårö we continued to Gotska Sandön which was one of the highlights during the summer. 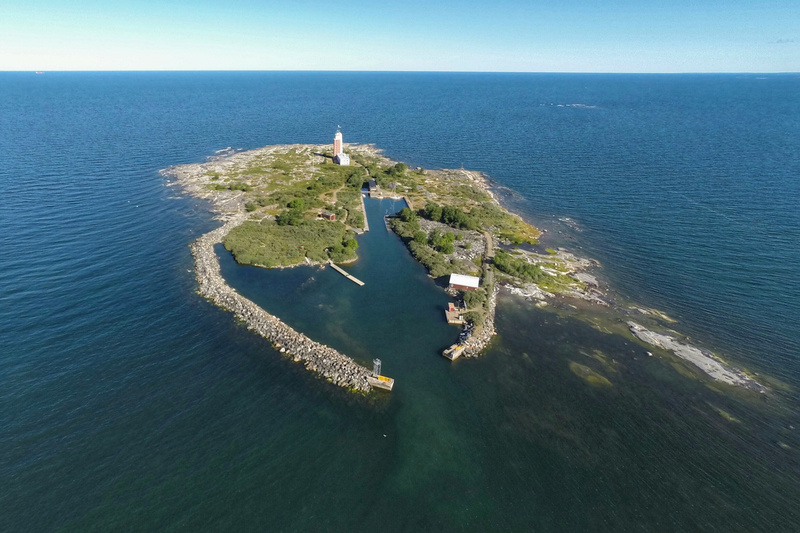 This uninhabited and most isolated island in the Baltic Sea does not have a harbour, so boats are anchoring in the lee side of the island. During our stay, the island gave a relatively good shelter from the wind, but there was a nasty swell, which was rounding the island and at times was coming from 90 degrees direction to the wind. 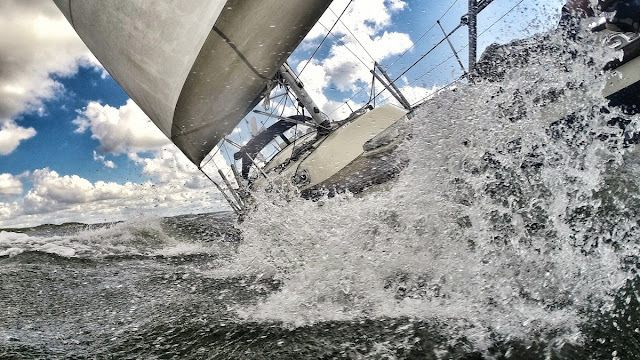 This made the anchorage rather bumpy and the night mostly sleepless. For a moment we were discussing about raising the anchor and taking a course towards calmer anchorages of the Stockholm Archipelago. 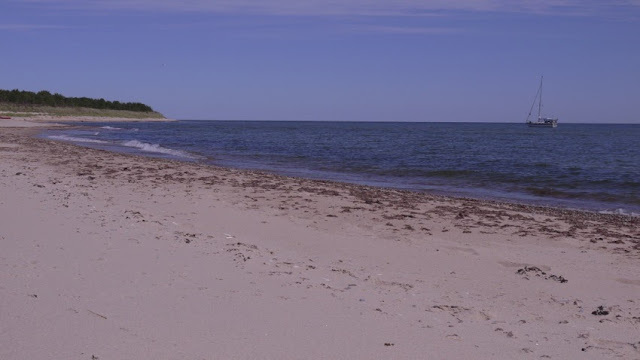 However, afterwards it is easy to say, that the decision to stay was the right one: the following day on the island and walking along its deserted sand beaches made us to forget the miserable night on the anchorage. From Gotska Sandön we continued to Finnskär in outer Stockholm Archipelago. 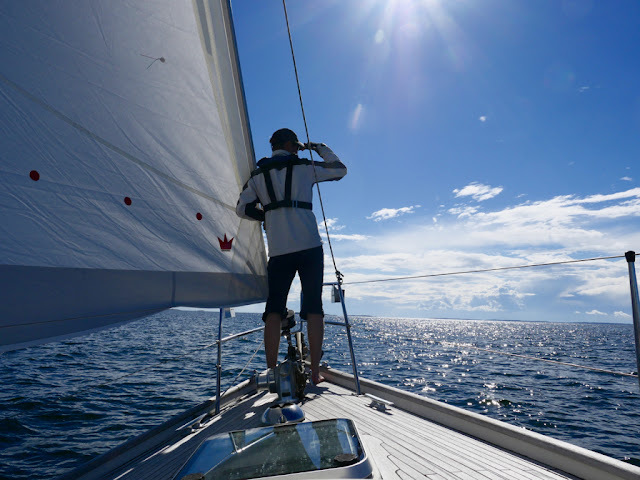 Strong northerly winds were forecasted for the following six days, so we made short legs in the archipelago and also stayed one night in Stockholm Wasahamn, while waiting for better conditions for sailing to Åland. 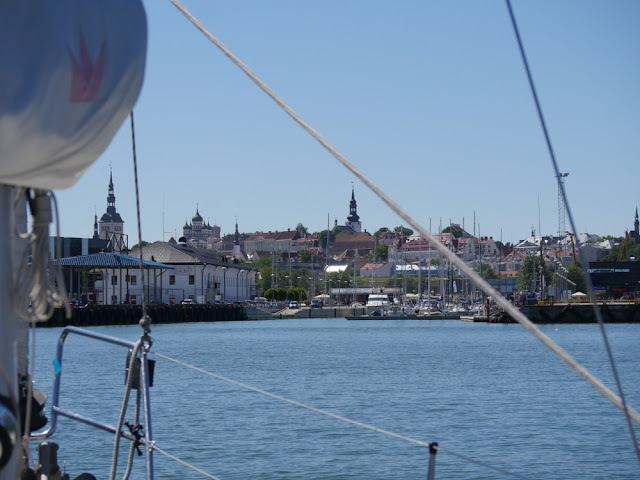 We were late from our schedule, so we had to leave Dolphin Dance to Mariehamn for four nights, while we took a ferry back home for a long working weekend. 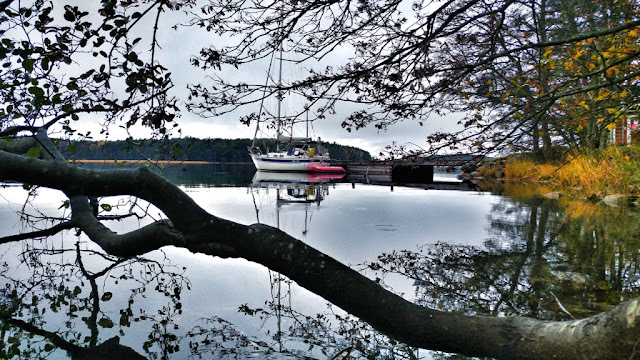 We were looking forward the last days of sailing through the beautiful Åland Archipelago, but unfortunately, the weather turned grey, cold and rainy as we started, and the sun only came out on the last day of the journey. Thus, we don't have many images from the last days. 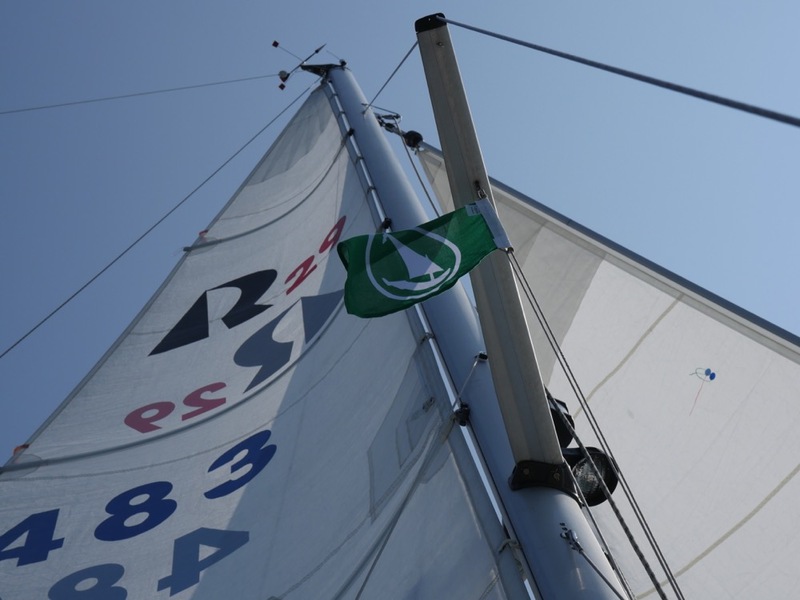 During the season, DD logged 1196 nautical miles in 55 sailing days. 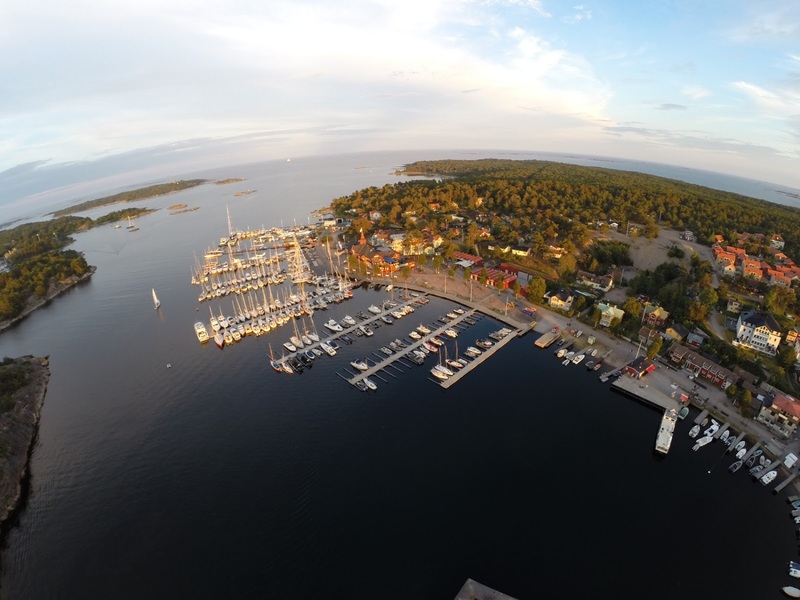 This year we moved to a new homeport, closer to the main sailing areas in the Archipelago sea. 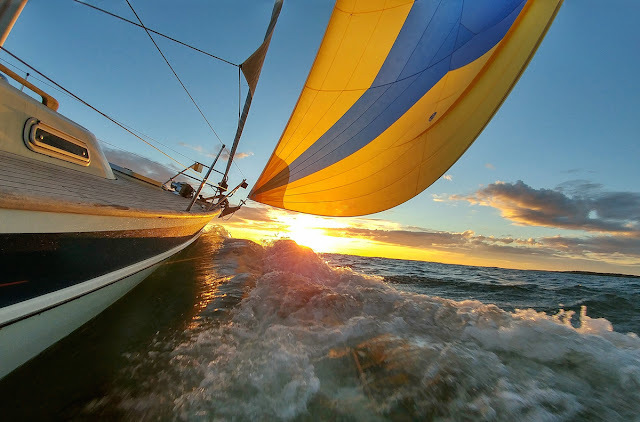 Therefore, we made, compared to the previous years, quite a few day sails especially in the early summer. 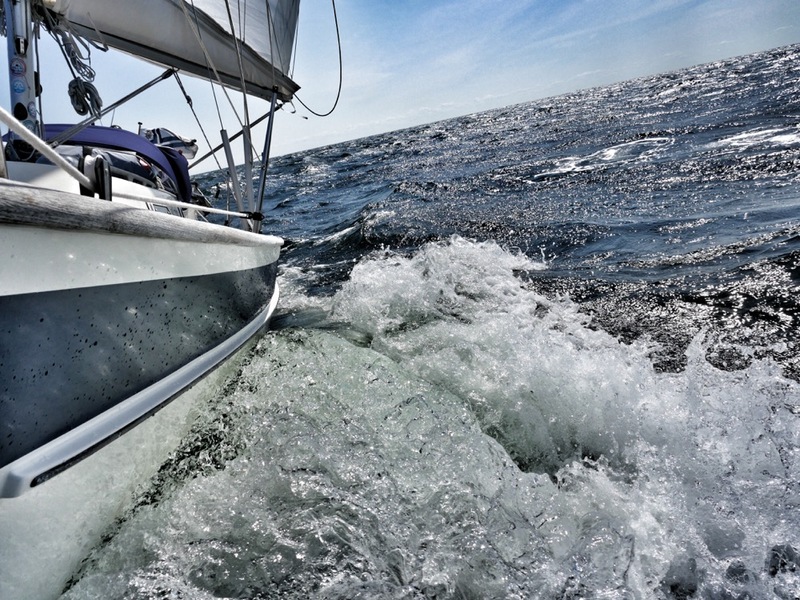 However, our average sailing distance 22 nm per day was lower than during the previous years, so we had a pretty relaxed schedule this year. I spent total of 263 hours at the sea and Minna about 240 hours. This year's autumn was especially warm and summer-like almost till the end of September. 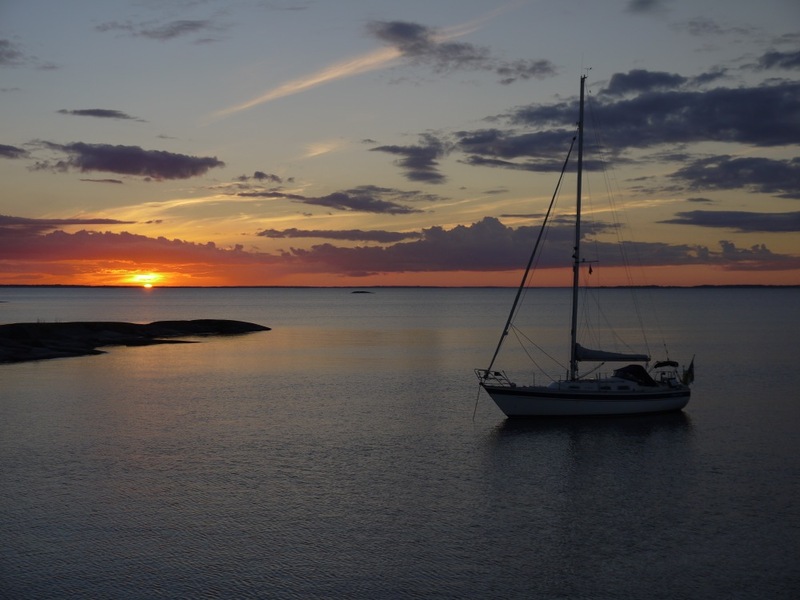 Therefore, in August and September, we did many shorter night trips and also one longer sail to Kustavi and Uusikaupunki in northern part of the Archipelago Sea. 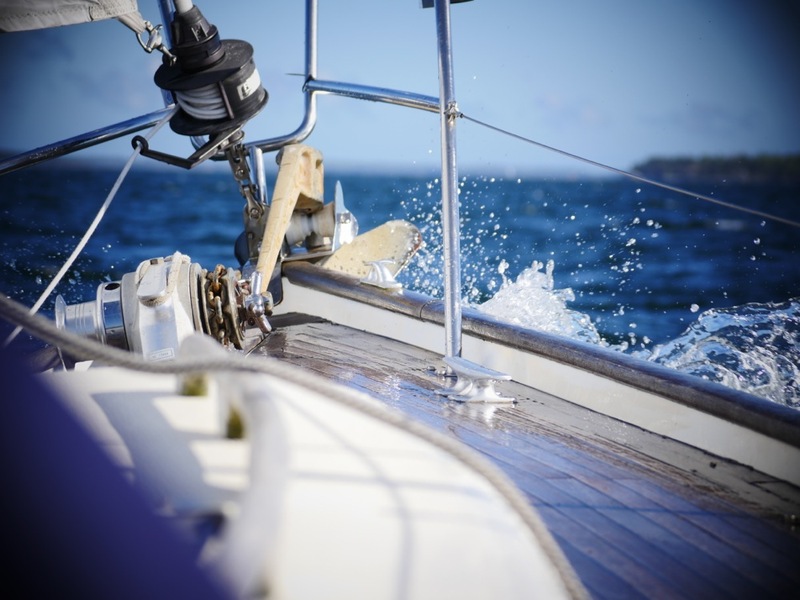 In the end of May, we made the first longer trip of the season to the nearby archipelago. 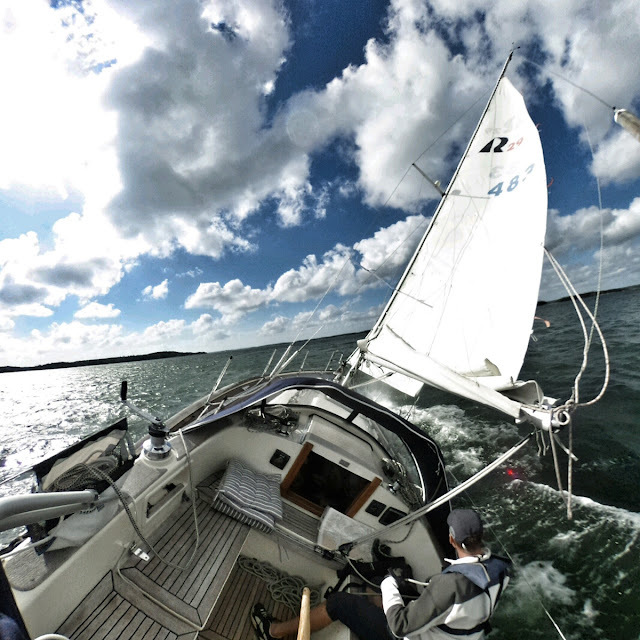 After a warm early summer, the weather turned colder and windy and we got a fast sail from Nauvo to Houtskär. Our summer holiday started in the end of June. 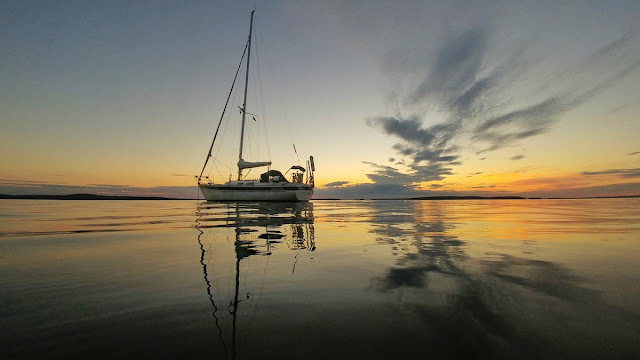 In the first night we stayed in a wild anchorage at Kaskis island. After watching Brazil beat Chile in the World Cup quarterfinals, I flew the quadcopter to capture some aerial images of the anchorage. This was actually something that I did in many of the harbours during the season. 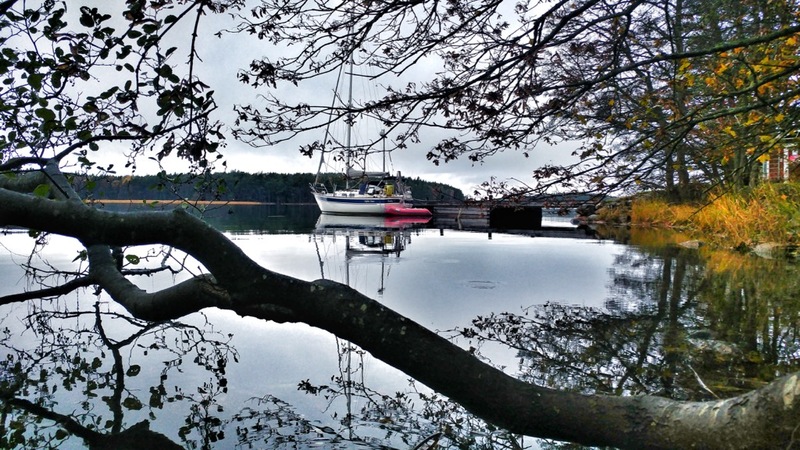 We visited Kastelholma guest harbour (near the Kastelholma castle) in mainland Åland on way to Mariehamn. We liked very much the friendly service in the harbour and good food in the nearby Smakbyn restaurant, so we decided to come back there also when returning from Sweden. After crossing the Sea of Åland, we stayed the first night in a wild anchorage in the outer Stockholm Archipelago. The evening was perfectly calm and the anchorage one of the most beautiful during the trip. 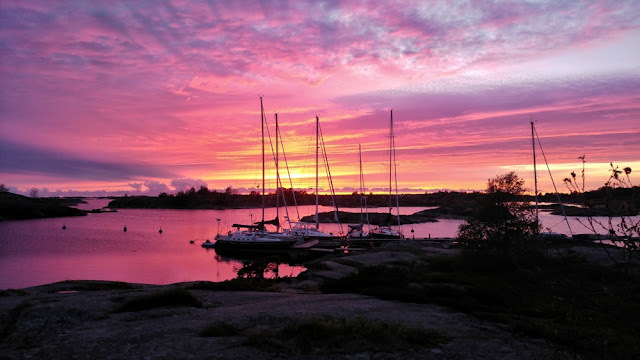 We stayed for two nights in lively Sandhamn in Stockholm Archipelago. 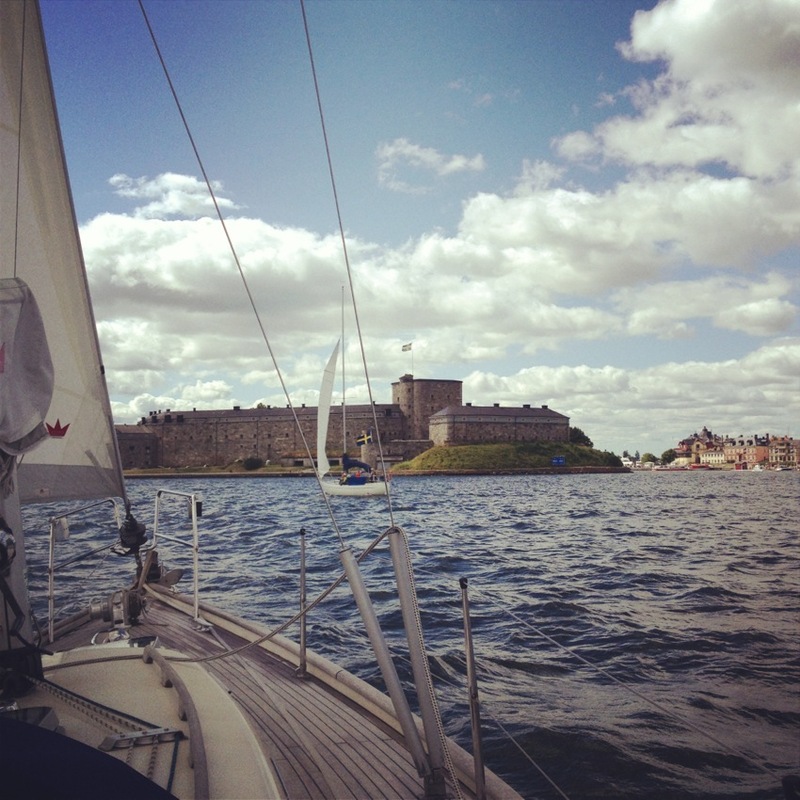 After Sandhamn it was time to take a course towards north and begin the return journey. 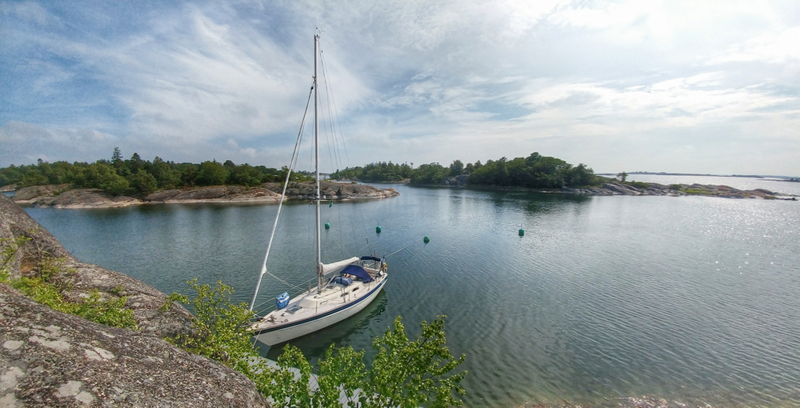 Found a quiet anchorage in the outer Stockholm Archipelago (not that easy in July). 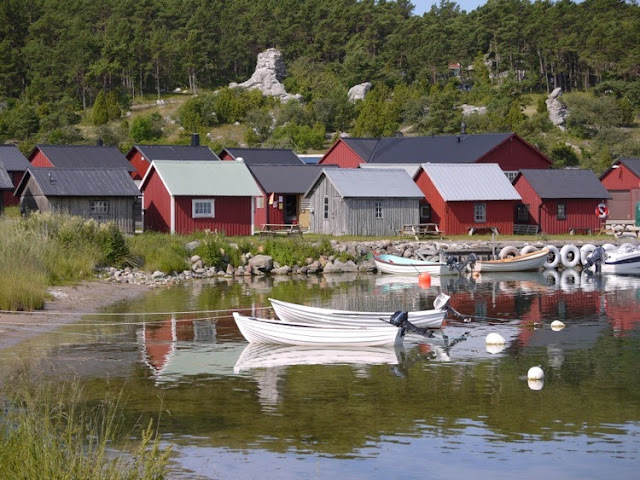 Simskäla in northern Åland was one of the most exotic and original places that I have visited in the Baltic Sea. The waters are uncharted near the island and we did not see any other leisure boats during our stay there. After two nights without electricity in remote islands, we decided to head for the luxuries of the HavsVidden, which is also a 4-star hotel. 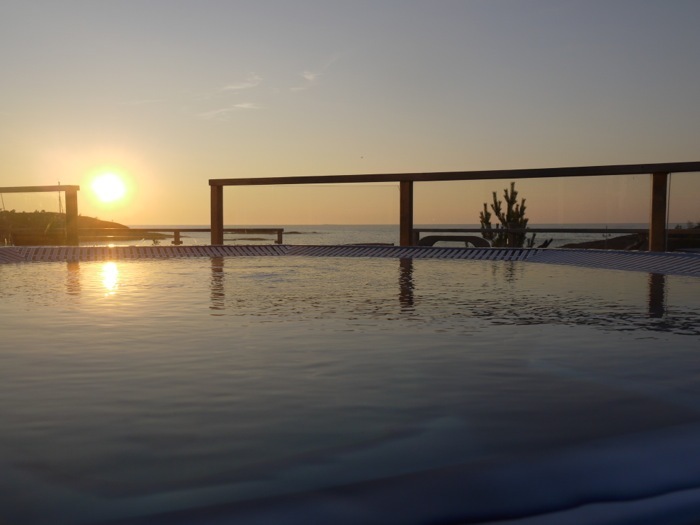 The hotel's pool area is included in the harbour fee so we spent most of the warm evening there. 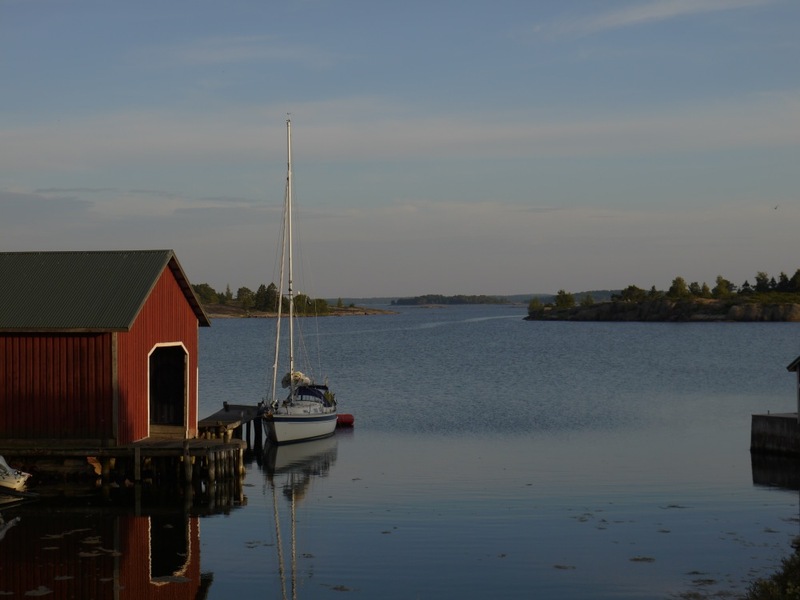 We sailed from northern Åland to Kustavi via Åland's northeastern route. This beautiful area offers splendid and quiet wild anchorages. In the last week of July, we made a two-night trip to Isokari island. This time we also had a record number of people onboard for an overnight trip, since my brother and his two children joined us for this lighthouse island adventure. 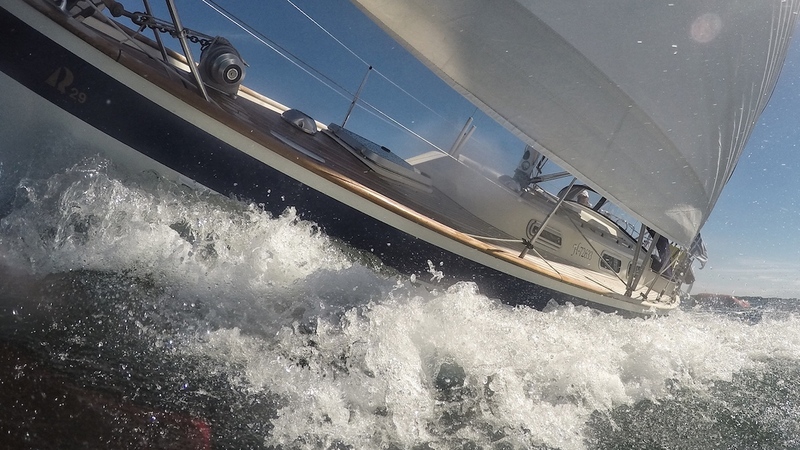 Friday evening sail at Airisto. Warm and summer-like weather continued to mid-September, so we made a lot of shorter trips during the Autumn. 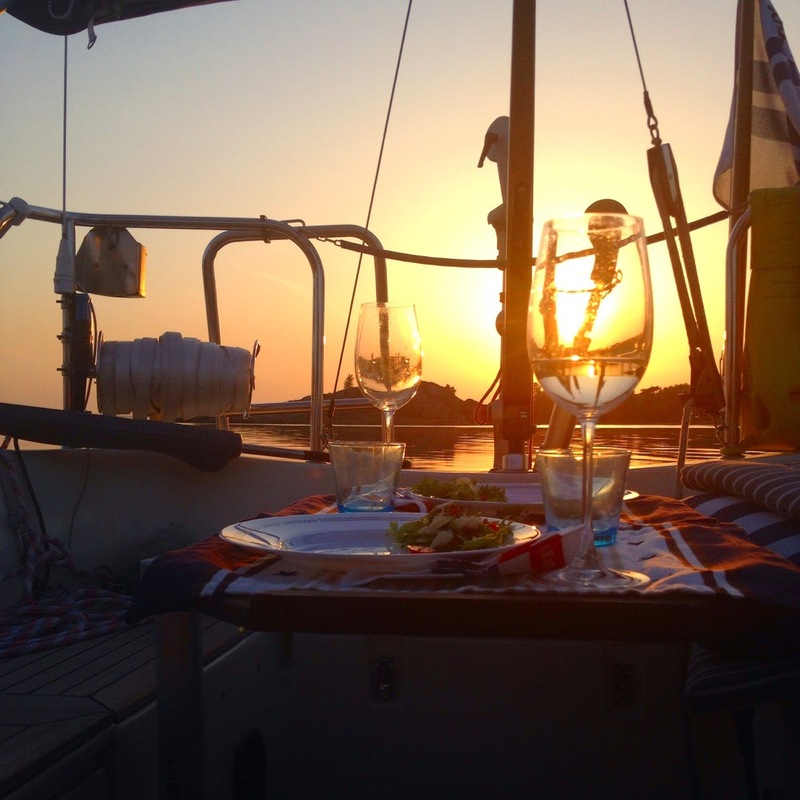 This year, we decided to extend the sailing season by chartering a boat from Italy in mid-October. Dolphin Dance was launched on the 26th of May. We set sail a couple of days later for a long-weekend trip to Helsingholmen and Korppoo Verkan. 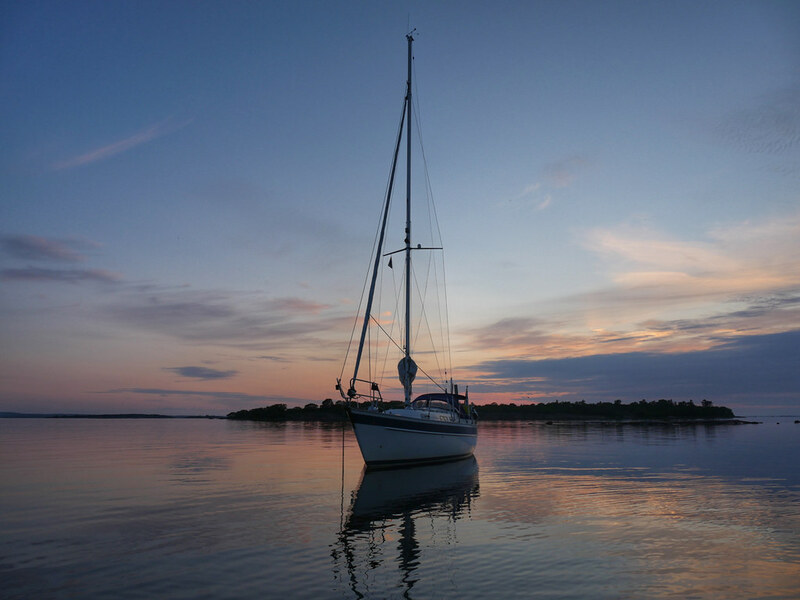 In the end of June we took a course towards east and Gulf of Finland and found a beautiful anchorage in the archipelago of Tammisaari. 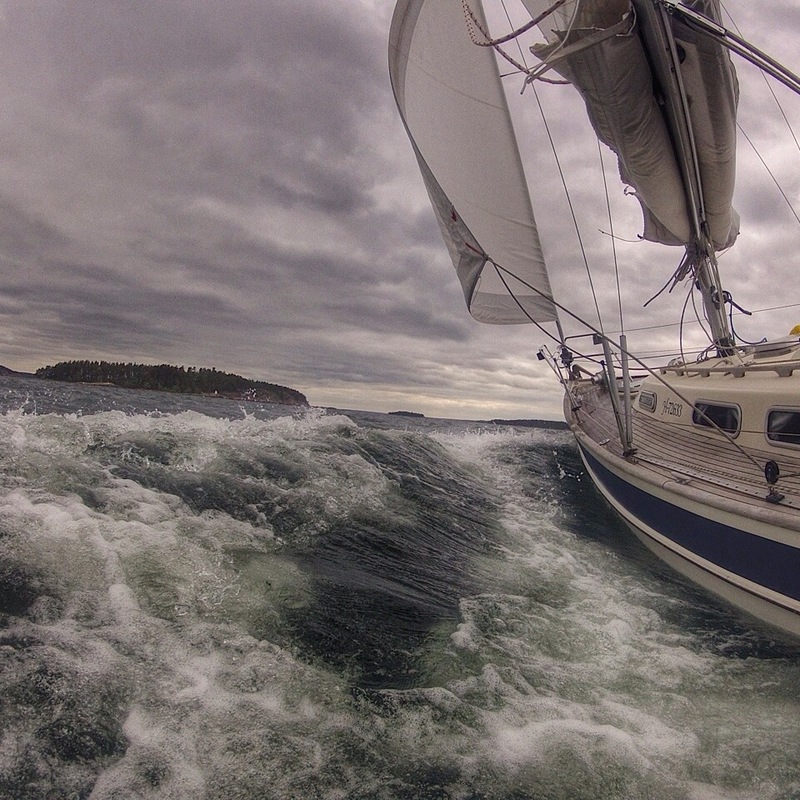 Crossing the Porkkala fjard in strong westerly breeze. On the 1st of July, we sailed from Helsinki to Estonia and stayed in the Tallinn Old City Marina for three nights. 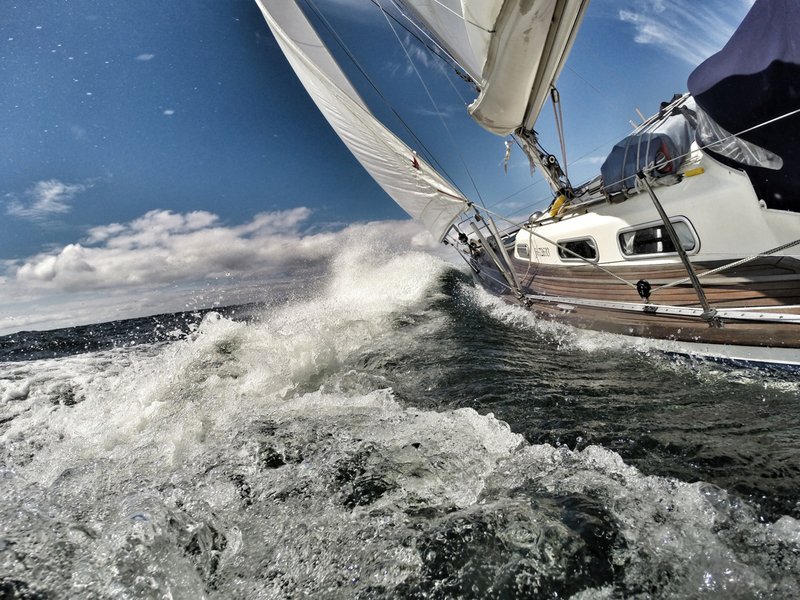 Crossing the Gulf of Finland from Lohusalu to Hanko in near gale force winds. Helsingholmen in July. It was nice to visit this favourite harbour also during high-season. Strong winds continued as we sailed across Kihti fjard to Åland. 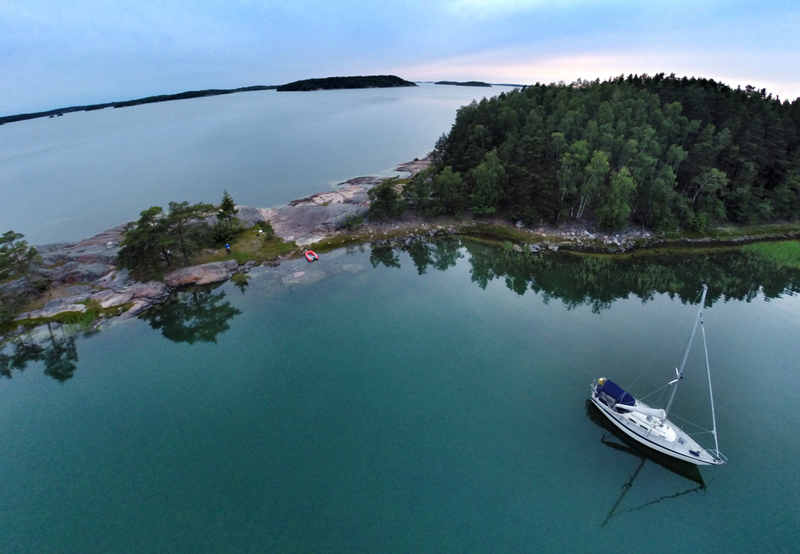 We found some quiet anchorages from Northern Åland. Perhaps the most beautiful sunset of the season in Isokari in the end of July. Sailing past Sandön island in late August. 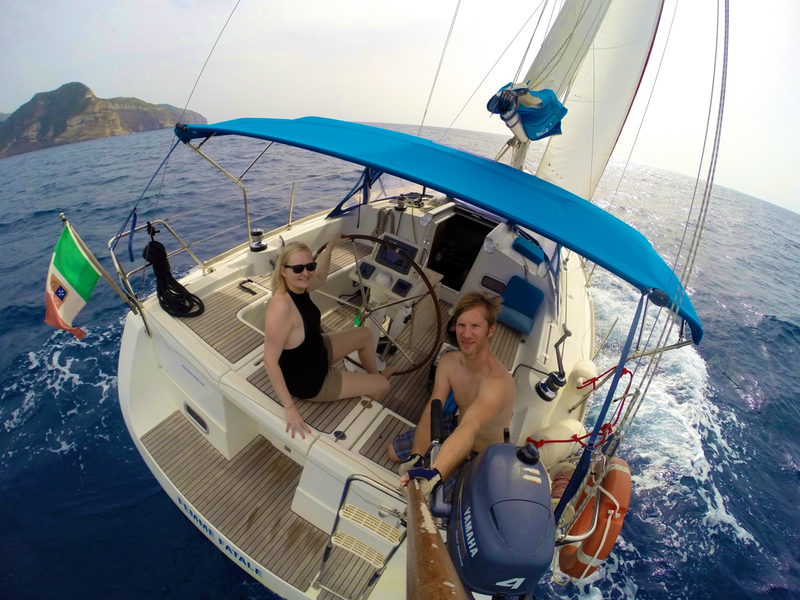 We ended the season 2015 in warmer waters by chartering a boat from Dubrovnik. 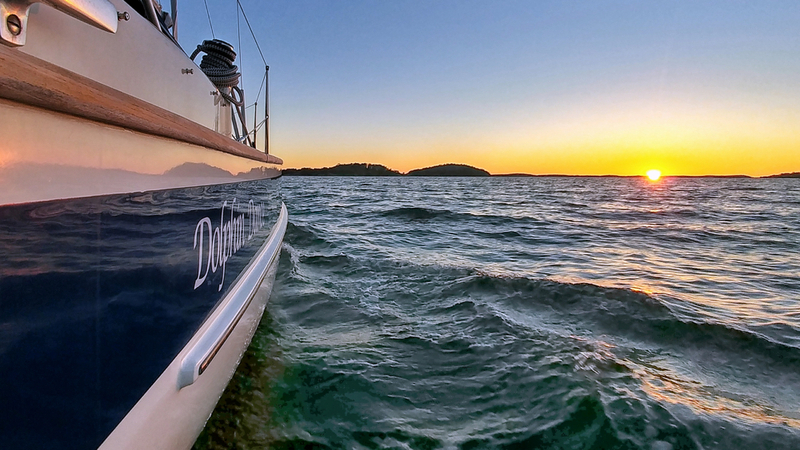 Here are thirteen photos that represent best Dolphin Dance's sailing season 2016. In 2016, Dolphin Dance was launched on the 16th of May. 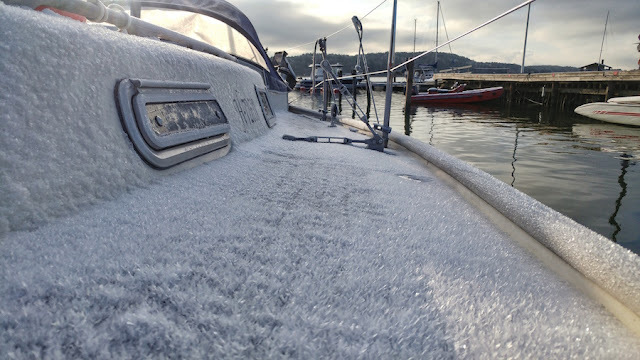 On the 2nd of June we cast-off for the first longer trip of the season. The evening was amazingly warm for an early summer. Sunday evening in Heisala. 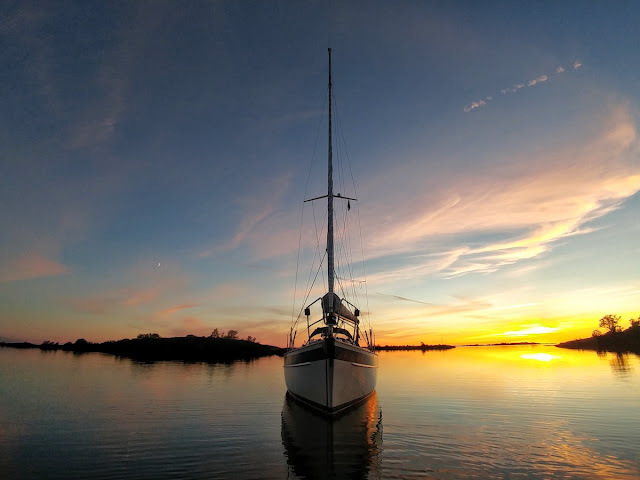 The day had been eventful as we sailed through a thunderstorm and a hail shower, had perfect winds, no wind at all, heavy headwind and finally a beautiful sunset. Åland ahead! Our summer holiday started on the 27th of June and we took a course towards Åland islands and sailed around the main island. 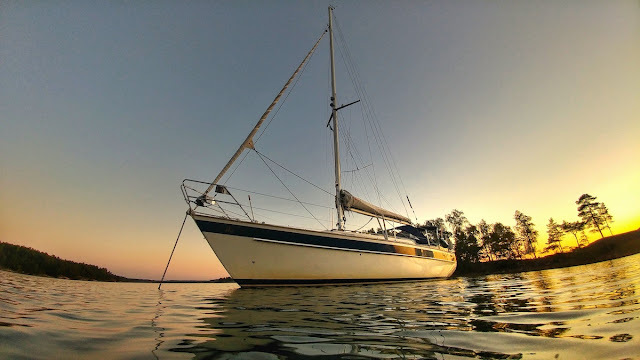 In 2016, I became a member of Finnish cruising association Merikarhut-Sjöbjörnarna (MK, i.e. 'Sea Bears' in English). 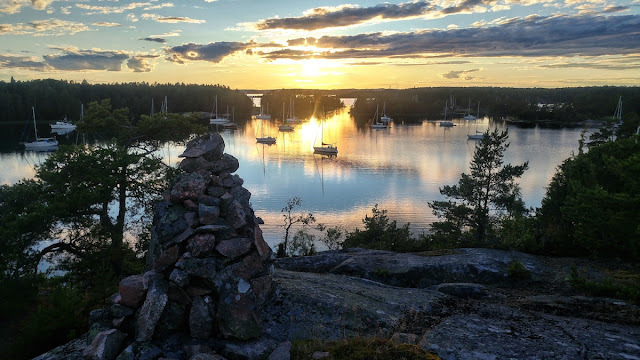 The association has an extensive network of almost 30 harbours along the Finnish coastline and Åland and also one harbour in the Stockholm Archipelago. We visited fourteen different MK harbours during the season 2016. Dolphin Dance in Storogskär, which is one of the three MK club harbours in Åland. 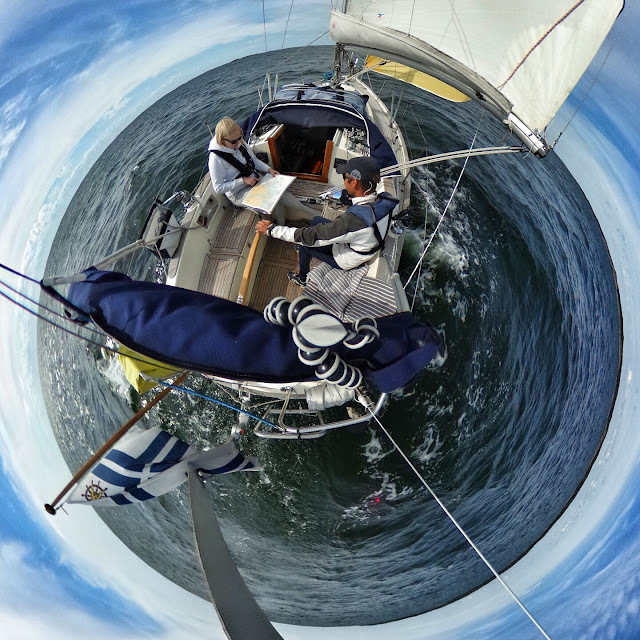 This summer we used the Ricoh Theta 360 camera for shooting both 360 photos and videos. The 'real' 360 photo can be seen from our Facebook page. 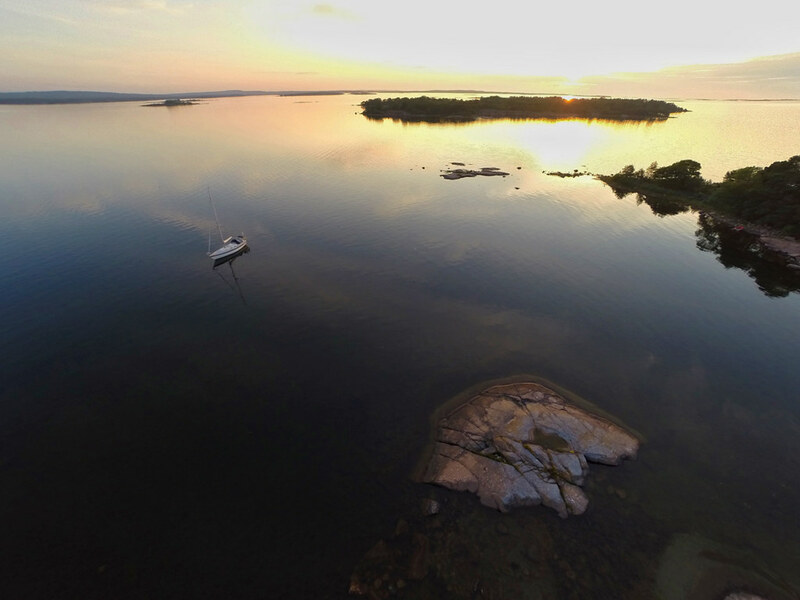 Fine summer evening at Enskär, which is located outside Eckerö next to the Åland Sea. Enskär was also our westernmost turning point this summer. in a perfect southwesterly wind. northernmost point along the Finnish coastline, that Dolphin Dance has ever sailed. 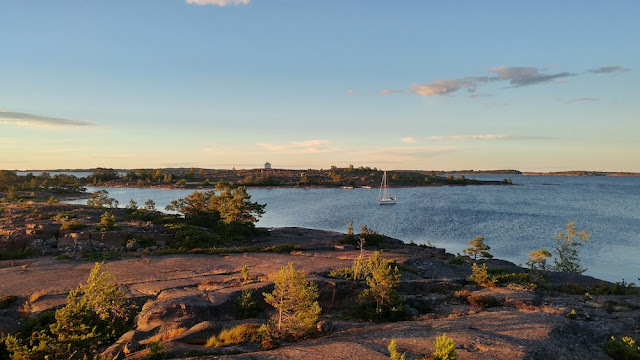 Archipelago in August and September. 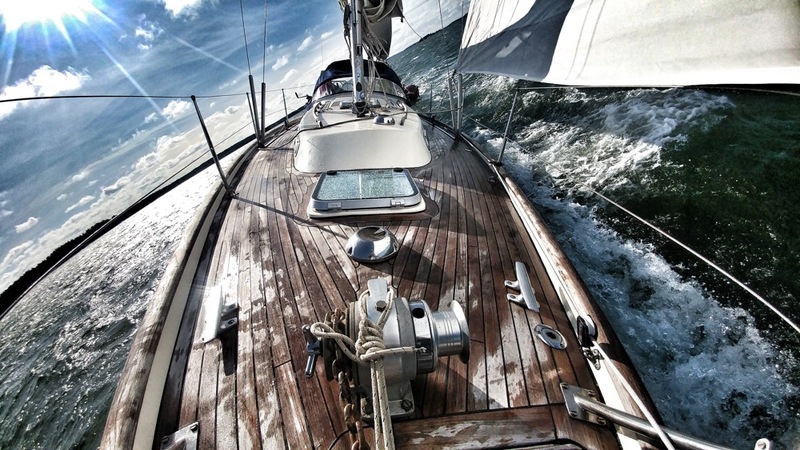 from Nagu to Korpo in 25-30 kts wind. 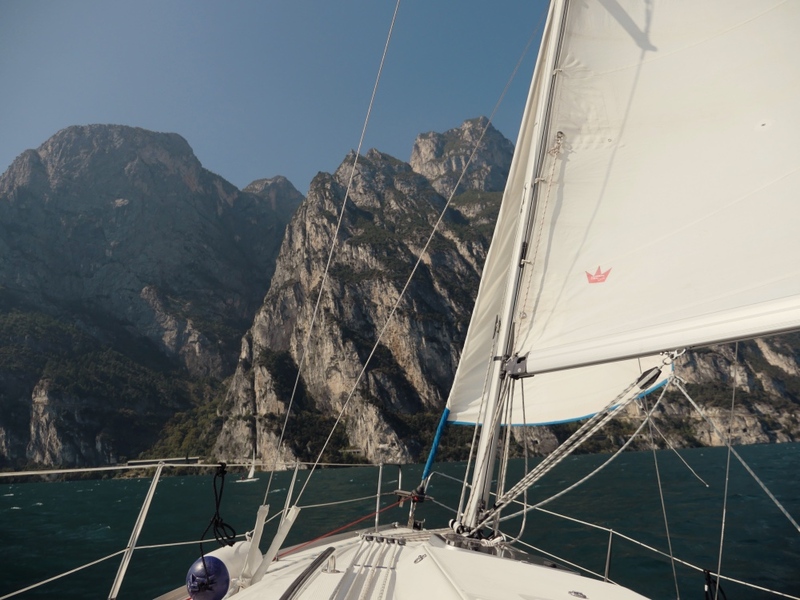 This September we travelled to northern Italy to end the sailing season 2016 on warm waters of Lake Garda. We chartered a Bavaria 31 from Torri Del Benaco and sailed on the lake for six days. The first snowfall came in early November. Dolphin Dance was lifted out on the 7th of November. Here are the thirteen photos that best represent Dolphin Dance's sailing season 2017. 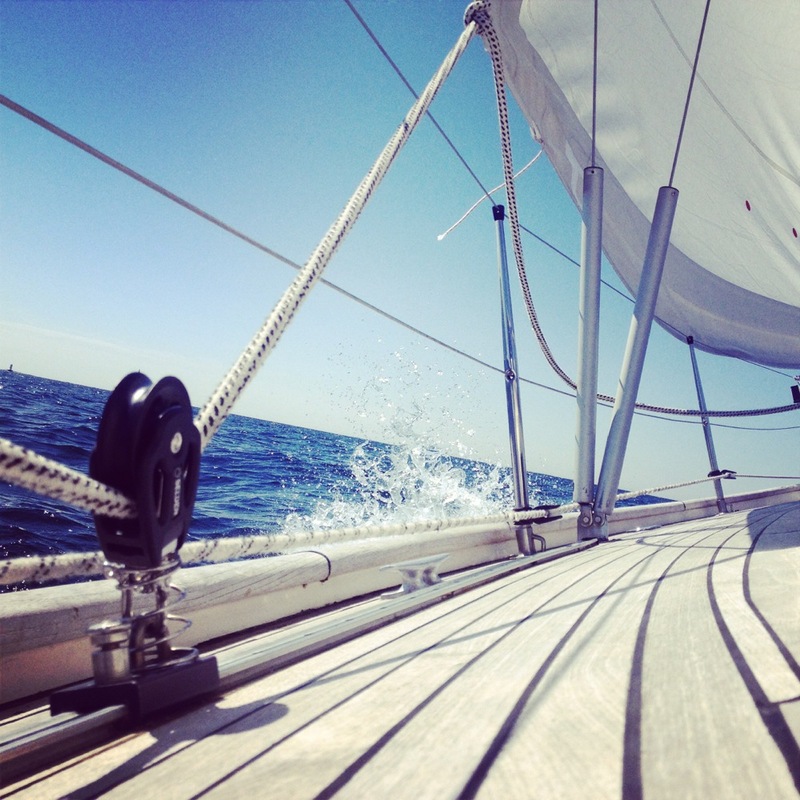 Great sailing through the Southeastern Åland Archipelago in June. Dolphin Dance in our cruising club's island base in Åland (June 2017). 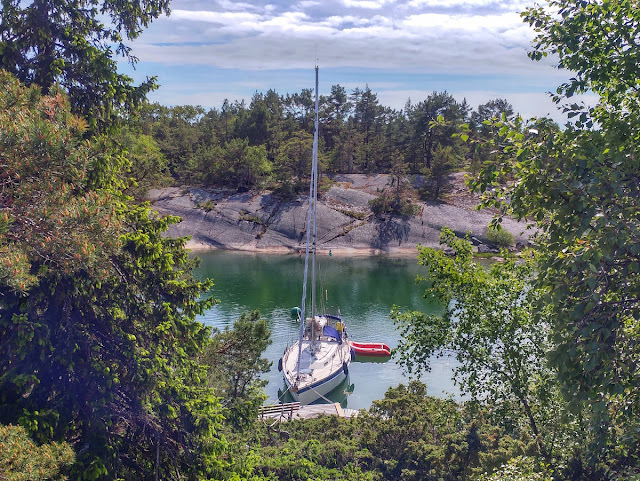 in a beautiful anchorage in Stockholm Archipelago. Ringsöfladen (58° 44' N, 17° 26,6' E) in the east coast of Sweden was our this year's southernmost point and thus our turning point for the summer sailing trip. and anchored by the lake as the night was calm. We continued sailing in the Autumn sometimes in stronger winds. 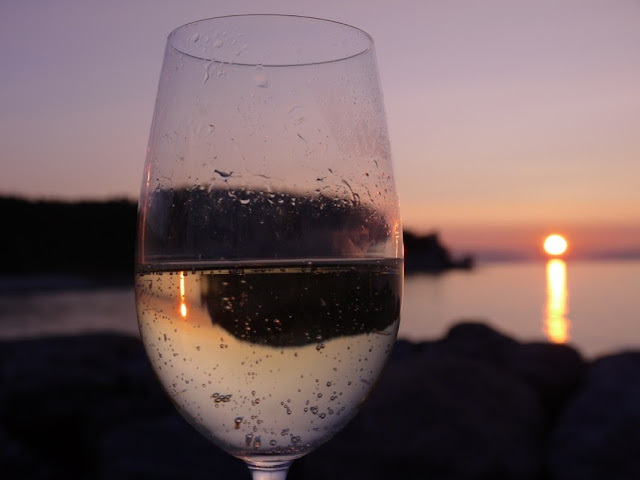 The first weekend of September in Hitis Archipelago. ended up with traditional fireworks show. In the late September, Northern Europe got a period of warm Autumn weather. Thus, I decided to take an advantage of the Indian summer, and head for one-night trip to the nearby archipelago. The last trip of the 2017 was on the 1st of November. This was a record long season for us as she was launched in early April and lift out was on 10th of November. Hi Jackie, thanks for your comment! We don't have experience on the European canals, although I think that it would be wonderful to navigate through Europe some day. In the Baltics, there are some areas where a nasty steep sea will kick up rather quickly, but mostly especially the Northern Baltics is very sheltered. 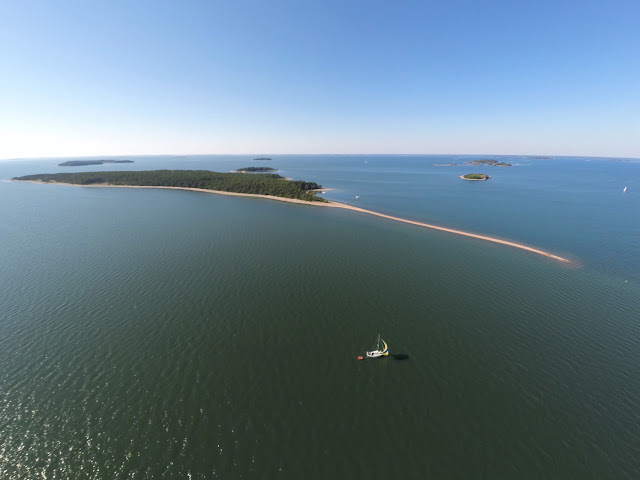 Furthermore, with your experience on ocean sailing, the Baltics is merely a big lake and the archipelagos are great fun for sailing.